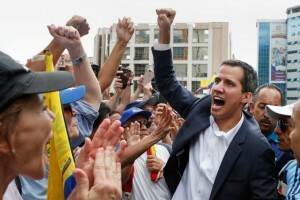 When President Nicolás Maduro of Venezuela was sworn in for his second term on Thursday before the country’s Supreme Court, ..
But…But… Didn’t Donald Trump & the EUSSR have appointed Juan Guaido as the new President of North Korea ?? With a proper delivered mandate from City of London & Wall St ? ?